Stephen established his Cleveland-area family law office over 20 years ago to help clients navigate the emotional and legal issues related to a divorce. Clients in Cuyahoga, Lorain and neighboring counties have trusted Stephen’s ability to reach the best resolution to difficult situations –whether through litigating a contentious divorce or finding an amicable dissolution. Stephen’s understanding of both the domestic relations process and the effect on those involved makes him a sought-after advocate for his practical yet tough approach. 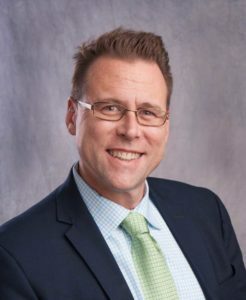 Stephen is a member of the Cleveland Bar Association Family Law Section (past- president of CBA’s Family Law section) and Lorain County Bar Association Family Law Section. He has written family law articles for the Cleveland Bar Magazine. He is regularly appointed as Guardian ad Litem for children in private custody cases. Aside from his extensive practice in Cuyahoga County, Stephen has one of the most prolific and respected practices in Lorain County having done hundreds of cases. More than anything else, Stephen has common sense and a practical knowledge of this area of law. Stephen knows that it is most beneficial when parties work together to raise their children and there is no one arrangement that works best. Every case is different and, hopefully, a child can have two healthy, involved parents. Unfortunately, that isn’t always the case and when a parent puts their own interests above their child, Stephen is experienced at making sure that the child involved is protected. Stephen has over two decades of experience and will always give you candid advice, even when it may not be what you want to hear. He will work with you to reach a resolution that protects you and your child’s interests. Stephen understands and routinely handles complex financial situations in divorces, whether division of property, division of retirement assets, real estate, closely-held companies, intangible property, business evaluation, separate property tracing or other financial issues. Stephen knows how to ensure you have the right financial settlement or outcome at trial. Stephen graduated from the University of Detroit Jesuit High School & Academy in Detroit, Michigan and received his Bachelors’ Degree in Arts from Michigan State University in East Lansing, Michigan. He received his law degree from Case Western Reserve University in Cleveland, Ohio. He has devoted his practice to family law matters since becoming a lawyer. Stephen has handled cases in over 10 Ohio counties including Cuyahoga and Lorain as well as Erie, Geauga, Franklin, Harrison, Huron, Lake, Medina, Richland, Stark and Summit. Whether divorce, custody, child support, alimony or any other family matter, you can email me at asksteve@daraylaw.com.